With the success of Animal Planet’s Tanked and Nat Geo Wild’s Fish Tank Kings, more television networks are starting to venture into the growing market of aquarium themed shows. 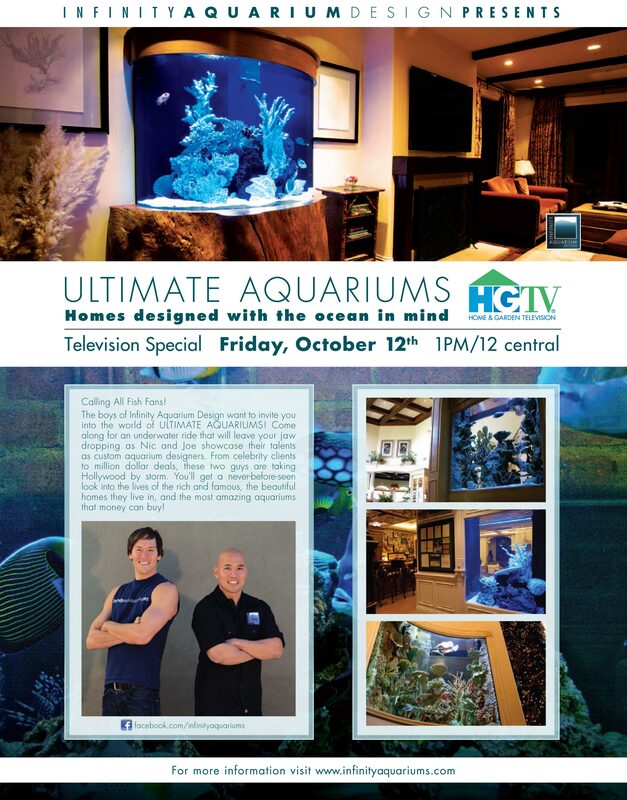 The latest of which is Ultimate Aquariums, an HGTV show that will initially only air as a single 30-minute episode on Friday, October 12th at 1 pm according to promotional flyers. 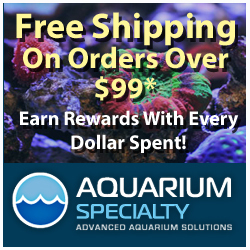 This show will follow the Los Angeles-based aquarium maintenance and installation company Infinity Aquariums as they show off some of their biggest aquarium installs for high profile cleints. According to Joe Pineda of Infinity Aquariums, the show will be different than the other shows currently being aired and they feel it will put the aquarium industry in a more positive light. Joe also went on to say that while this show is just a single episode at the moment, it could get a lot more episodes if there’s a big positive response. looking forward to this one! Nic and Joe are extremely knowledgeable fish guys with a real passion for what they do.